When it comes to crafting a diet, it is essential to understand that your body needs a minimum of daily calories to generate energy and keep your metabolism in full working order. Certainly, a large part of the world's population has sought, at some point in their lives, some strict diet to achieve rapid weight loss. What you usually forget is that these diets impair metabolism. These 'magic solutions' or 'miracle diets' are very dangerous because they do not provide the balanced nutrition our body needs. Below we will see diets that damage our metabolism and can also cause damage to our health in the long run. Why do some diets impair your metabolism? There are countless reasons not to do a regime that involves losing weight without wanting a dietary reeducation. Let's look at the main ones to explain why diets that do not help your metabolism should be avoided. When a diet has less than 1,200 calories it does not provide the energy base that your body needs. With this, your metabolism will slow down and various symptoms may appear, such as fatigue, dizziness, difficulty concentrating, headache, etc. In addition, a slower metabolism is counterproductive to weight loss. To lose weight, we need our body to burn fat reserves. If we feel permanently tired, we can not exercise, and physical activity is essential to maintain a healthy weight. Another problem is that many "magic diets" are usually restrictive, based on the daily consumption of a small variety of foods in addition to low in calories. This means a food imbalance because our nutrition must provide all the essential nutrients, vitamins and minerals. In addition, eating the same foods for a long time is not very attractive, making it difficult to maintain the regimen. This is the most recognized version of the protein diet, which has become very popular in recent years. Your diet plan includes four different phases, and the duration of each one will depend on how many pounds you wish to lose. In the first phase, only animal protein sources such as meat, chicken, fish, lean cheese and eggs are allowed. Its duration should not exceed 10 days. During the second stage, you should alternate the days when you consume protein and those you eat vegetables. The person must maintain this variation until reaching the desired weight. The third phase is dedicated to stabilizing the achieved weight and the carbohydrates should return to the diet gradually. One or two weeks later, you can go to the fourth stage, which is to return to normal eating. And what are the risks? According to the Ministry of Health and Consumer Affairs, the Dukan diet is especially dangerous for patients with kidney or liver problems. In addition, high protein intake can poison the body and impair metabolism. 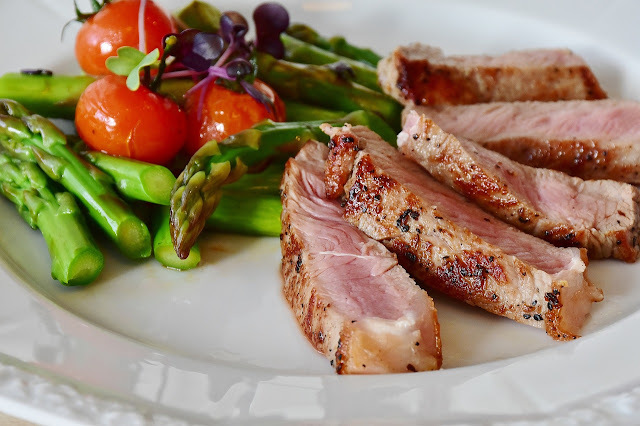 The Atkins diet can be considered a more rigorous version of the Dukan. Its menu is mainly based on the ingestion of proteins of animal origin. Consumption of fats such as lard, olive oil, coconut oil, nuts, etc., is also released. The supposed success of the diet is to reduce the consumption of carbohydrates as much as possible. Experts point to the health risks of consuming a high fat content. And they warn that people with coronary problems or high cholesterol should not perform the Atkins diet. In addition, the absence of vegetables and fruits causes a deficit in the supply of vitamins and minerals. Controlled fasting is practiced by many ancestral cultures in a balanced way and always combined with a conscious diet. However, some diets propose fasting periods to detoxify the body without considering dietary re-education. We must clarify that good detox can be very beneficial for our health. However, diets that propose spending days-based water, juices, green juices, broths or soups are not effective. The pounds lost are usually recovered quickly. In addition, prolonged fasting also causes irritation or inflammation of the lining of the stomach. In some cases, if fasts become constant, they can lead to the formation of ulcers in the digestive tract. For all this, regimes that propose to starve themselves are not recommended.